Shaken deeply after 9/11 and the loss of his job, he begins to feel the pull toward rediscovering his spirituality—a yearning long-buried since young adulthood. But in this he’s alone—his wife doesn’t understand why their family life can’t provide what he needs, and his friends can’t relate. When he suffers what he thinks is a heart attack and finds himself calling out for God, Lee realizes he must take action, whatever the cost. 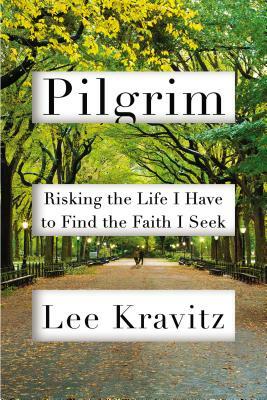 In Pilgrim, Lee’s journey takes him to many places—from the quiet reflection of Buddhist meditation groups and Quaker meetings to the joyous noise of Hindu ecstatic chanting sessions and a candlelit Christmas Eve mass—until he finds a place where he feels he’s finally found the community he has sought. Along the way, he strives to reconcile his needs and beliefs with those of his family, knowing that he may be risking their bond. In documenting his quest to pursue a contemplative life in the chaos of everyday existence, Lee offers a blueprint for anyone who might find himself lost at one point or another. Spanning areas of faith from Judaism to Protestantism to Nada yoga, the book also explores the latest research on the effects religion and God have on our brains, emotions, and health. A thoughtful, stirring blend of memoir, religion, and science, Pilgrim is an engrossing narrative that speaks to the universal need to feel connected to the world around us. Lee Kravitz is the author of the widely acclaimed memoir Unfinished Business and the former editor in chief of Parade magazine. Previously, he was founding editor of React magazine and an editorial director of Scholastic Inc. A graduate of Yale and the Columbia Graduate School of Journalism, Lee lives with his wife and children in New York City and Clinton Corners, New York.